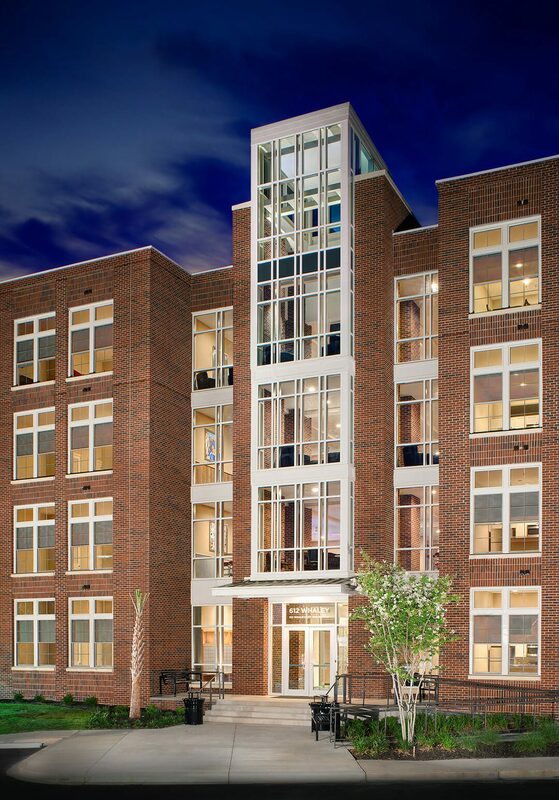 Adjacent to the historic Olympia and Granby Mills, these apartments cater to graduate students and young professionals. The new four-story building consists of 182 one- and two-bedroom units to serve a growing need in Columbia’s rental housing market. 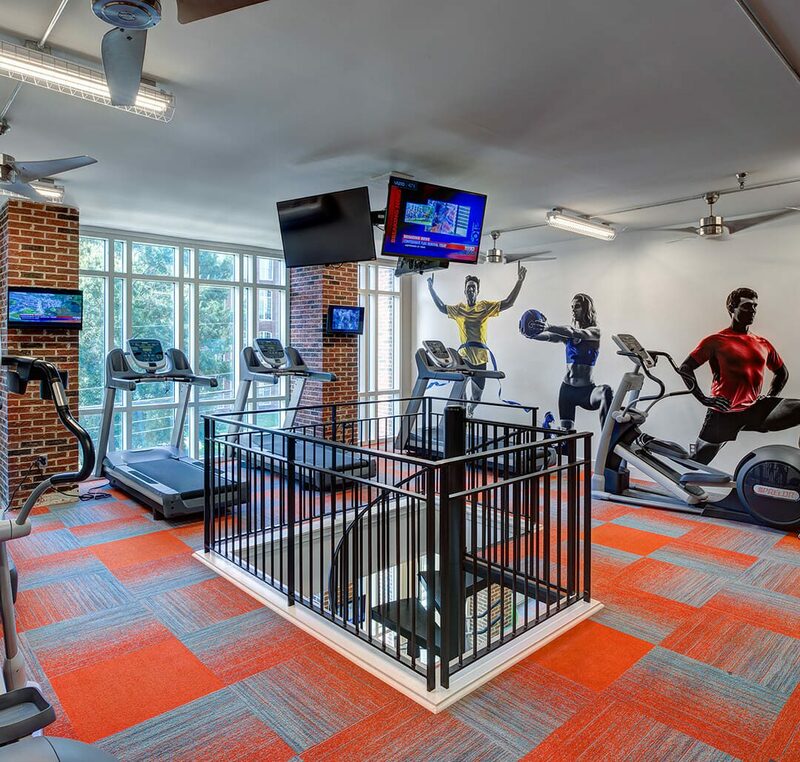 Each unit features an open floor plan with high end finishes and access to an on-site fitness center. The facility also includes approximately 6,000 square feet of retail space fronting Whaley Street. Outdoor patio seating overlooks a preserved on-site park where neighborhood events are held throughout the year. 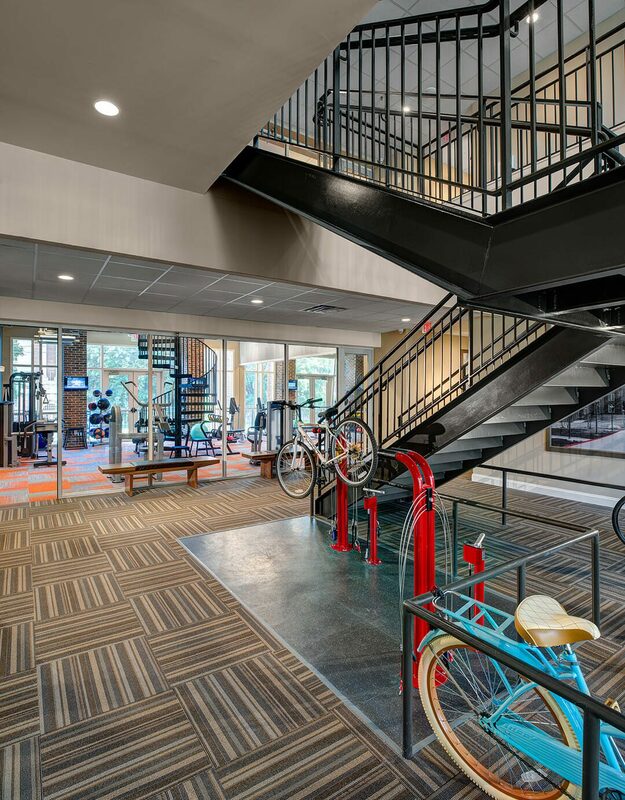 While complimenting its historic mill village setting, the building offers a welcome focal point that will attract new residents and visitors to the area.